Each year, over a hundred artists take part in Tokyo Wonder Site (TWS) residency program, engaging in various artistic activities both in Japan and abroad. 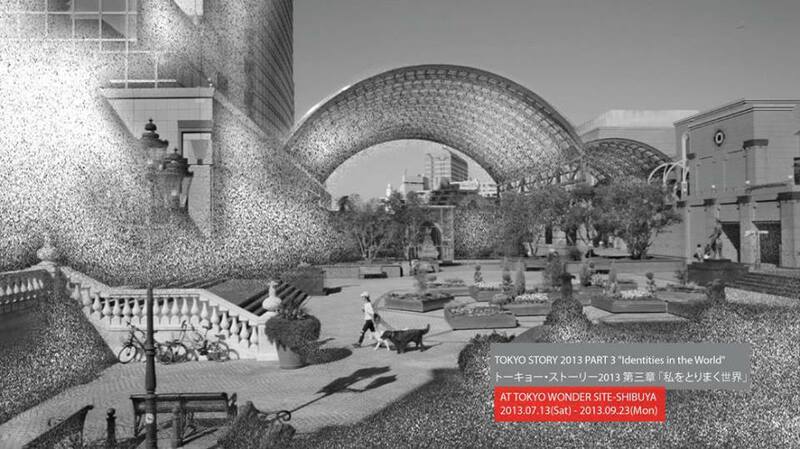 This year, TWS is hosting “Tokyo Story 2013,” a relay-style exhibition that will report on the results of last year’s participating artists. This show, called “IDENTITIES IN THE WORLD,” will comprise the third stage of the project. The show will introduce works of five artists: Kosuke Ikeda and Yuki Okumura, who were dispatched abroad on the Exchange Residency Program, and Noor Abu Arafeh of Palestine, Mohamed Abdelkarim of Egypt, and Sutthirat Supaparinya of Thailand, who were invited to take part in TWS’s Creator-in-Residence program in Tokyo. After the 2011 Great East Japan Earthquake, all of us in Japan were forced to recognize just how much our day-to-day lives are influenced by the electrical power supply. At the same time, there is a current which is much larger than the power of any individual– such as politics or history–that is swirling about all around the world. In such circumstances, these five artists have taken up the themes of “energy” and “identity” in an attempt to express how their own existences greatly depend upon the environment that surrounds them, or to go through a transformation by actively plunging into it. These artists sometimes observe their own existences objectively, and sometimes penetrate into the lower depths of their consciousness. Thus, we invite you to come to the Tokyo Wonder Site Shibuya show and physically experience the ways each of these artists expresses their own approach to the world through their works created in various regions of the globe. This is the final opportunity to meet the exhibiting artists.